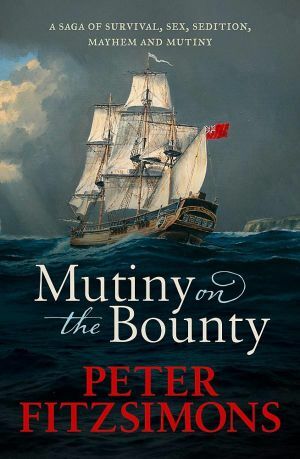 The mutiny on HMS Bounty, in the South Pacific on 28 April 1789, is one of history’s truly great stories – a tale of human drama, intrigue and adventure of the highest order – and in the hands of Peter FitzSimons it comes to life as never before. Commissioned by the Royal Navy to collect breadfruit plants from Tahiti and take them to the West Indies, the Bounty’s crew found themselves in a tropical paradise. Five months later, they did not want to leave. Under the leadership of Fletcher Christian most of the crew mutinied soon after sailing from Tahiti, setting Captain William Bligh and 18 loyal crewmen adrift in a small open boat. In one of history’s great feats of seamanship, Bligh navigated this tiny vessel for 3618 nautical miles to Timor. Fletcher Christian and the mutineers sailed back to Tahiti, where most remained and were later tried for mutiny. But Christian, along with eight fellow mutineers and some Tahitian men and women, sailed off into the unknown, eventually discovering the isolated Pitcairn Island – at the time not even marked on British maps – and settling there. This astonishing story is historical adventure at its very best, encompassing the mutiny, Bligh’s monumental achievement in navigating to safety, and Fletcher Christian and the mutineers’ own epic journey from the sensual paradise of Tahiti to the outpost of Pitcairn Island. The mutineers’ descendants live on Pitcairn to this day, amid swirling stories and rumours of past sexual transgressions and present-day repercussions. 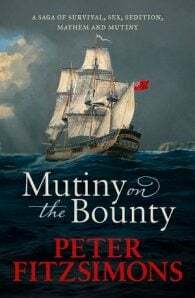 Mutiny on the Bounty is a sprawling, dramatic tale of intrigue, bravery and sheer boldness, told with the accuracy of historical detail and total command of story that are Peter FitzSimons’ trademarks.